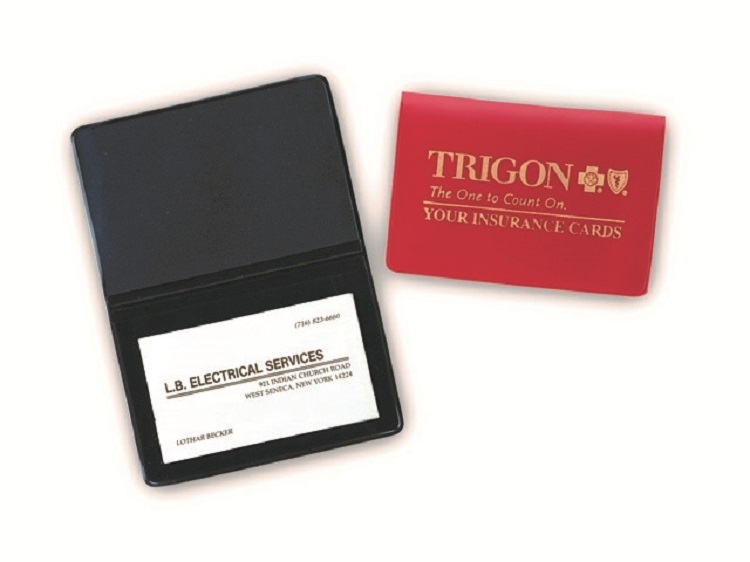 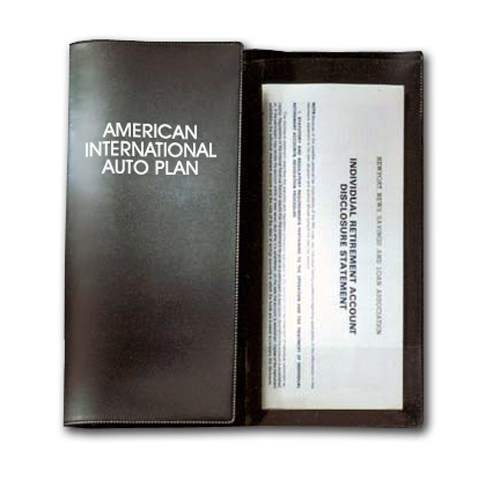 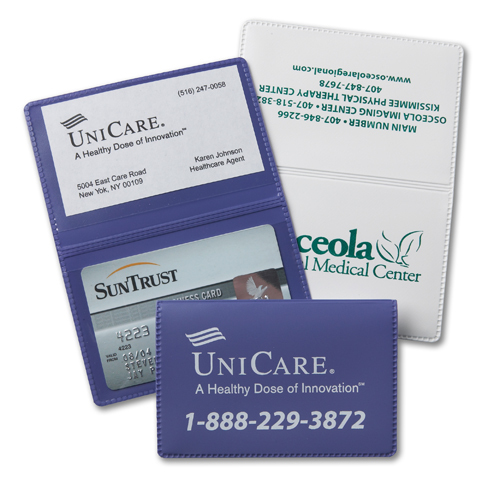 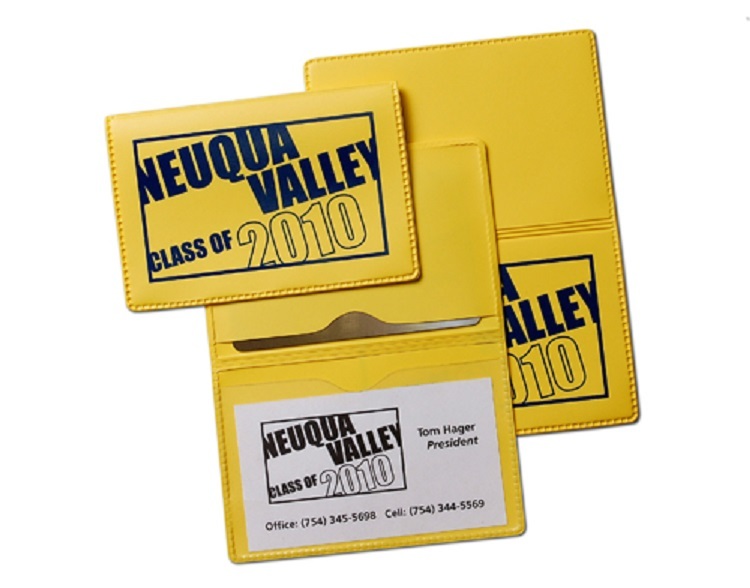 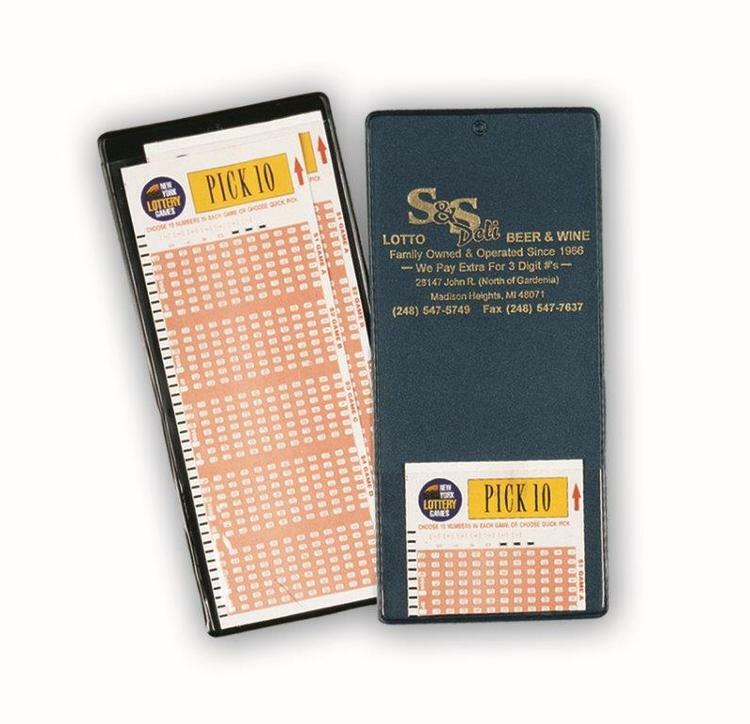  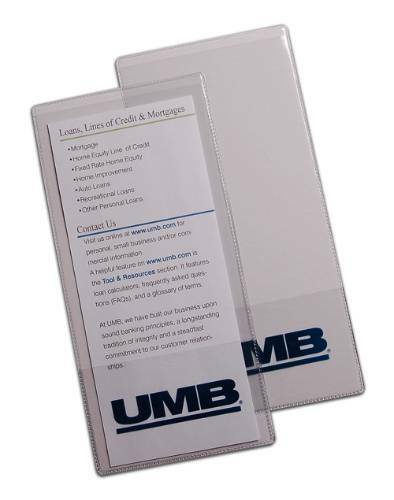 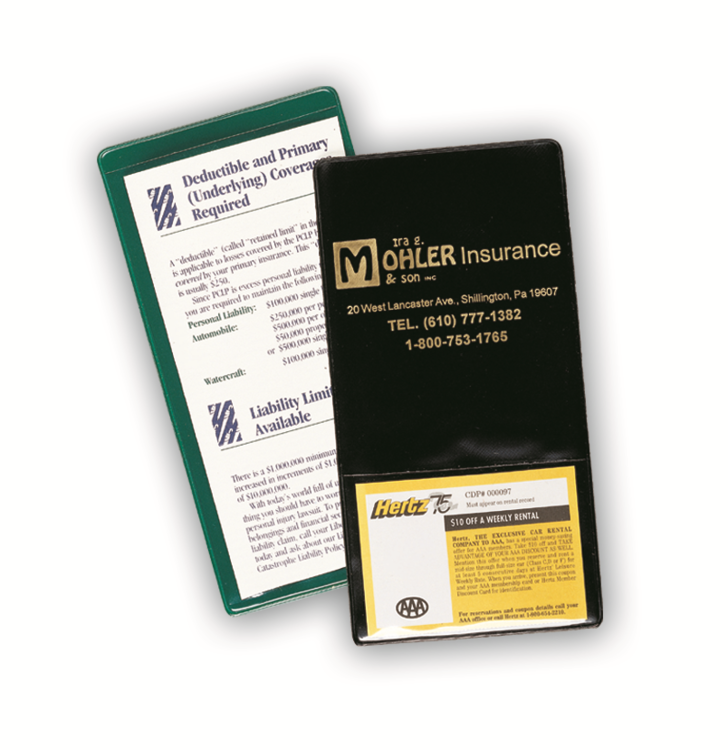 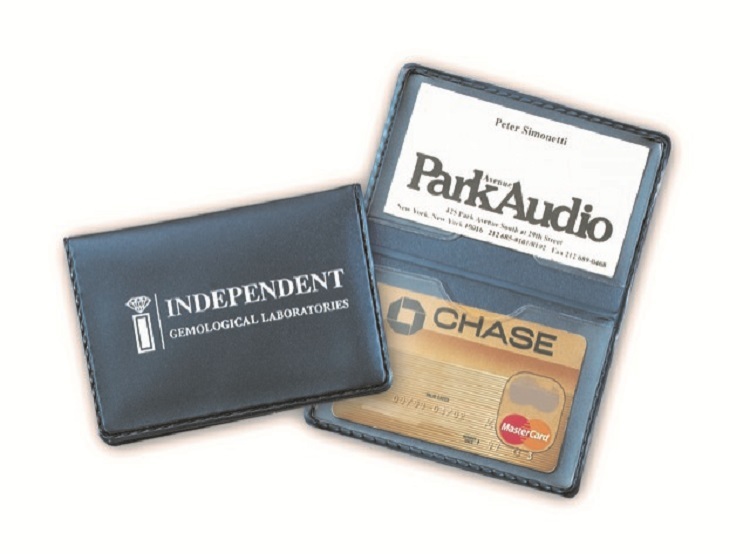 • Flexible vinyl business card holder • Features 1 clear interior thumbcut pocket and 1 opaque thumbcut pocket for easy access • Use for school ID's, Library Cards, Self Promotions. 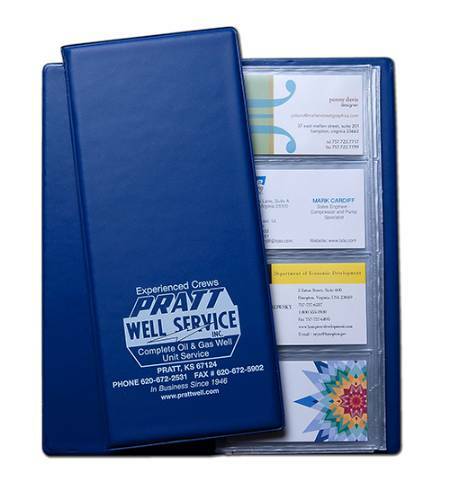 • One of our Best Sellers!! 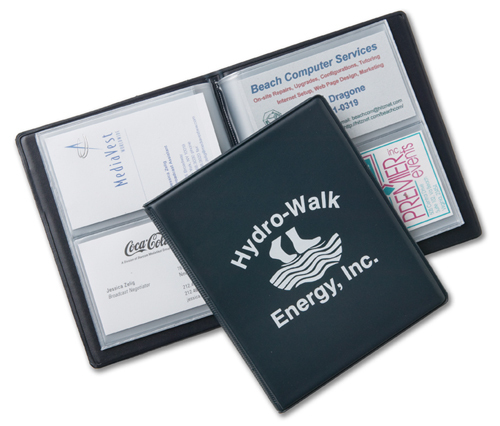 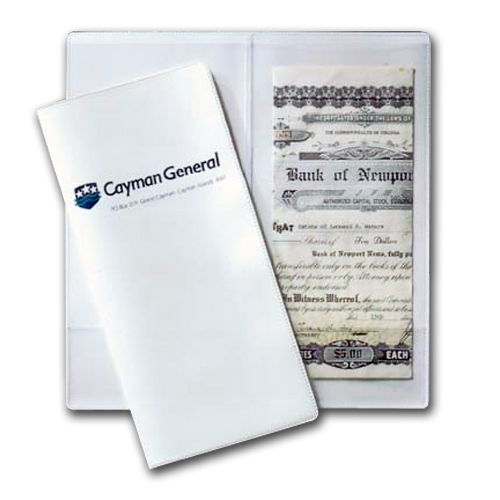 • Flexible vinyl business card holder • Features 1 clear pocket, 1 opaque pocket • Use for school ID's, Library Cards, Self Promotions. 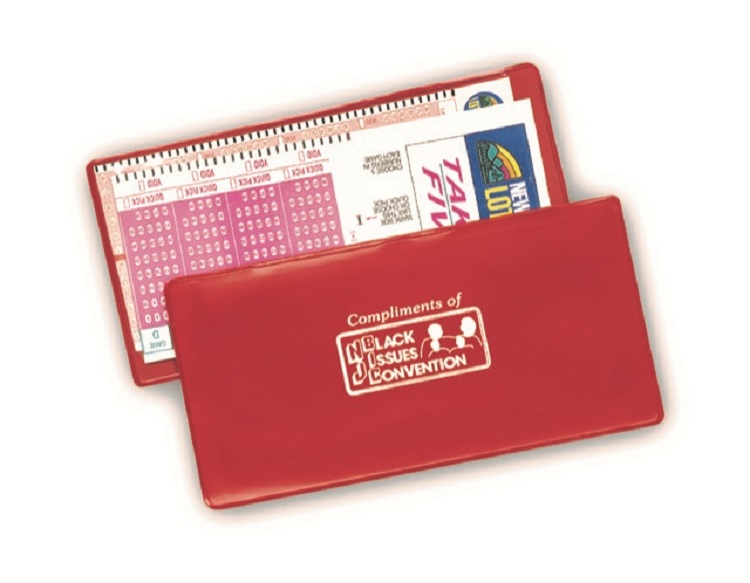 • Available in many styles! 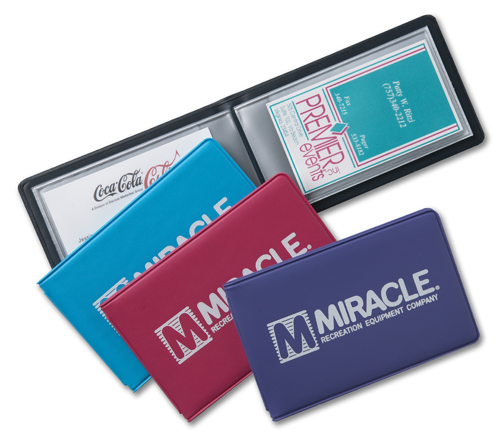 • One of our Best Sellers!! 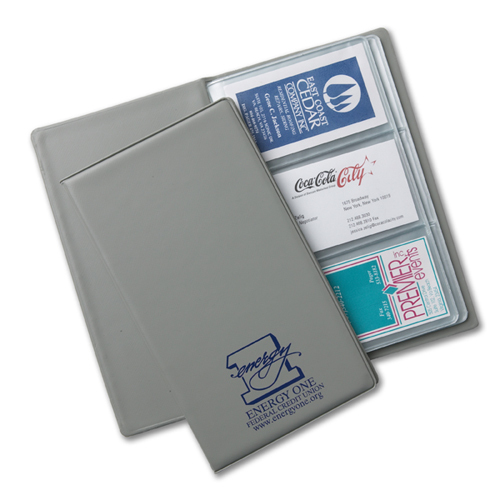 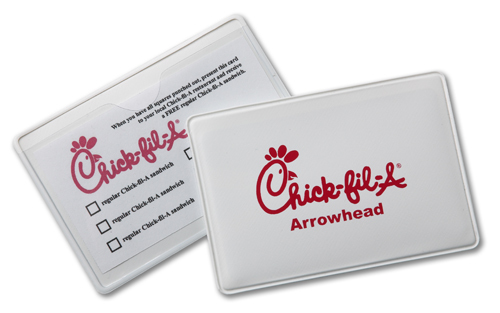 • Flexible vinyl business card holder • Features twin, clear interior thumbcut pockets for easy access • Use for school ID's, Library Cards, Self Promotions.